Convenience is key when it comes to making beloved comfort food quickly, and canned biscuit dough can save a hurried cook both time and money. Whether you're cooking sweet or savory, canned biscuit dough eliminates extra work and gets you to soft, pillow-like dumplings in no time. 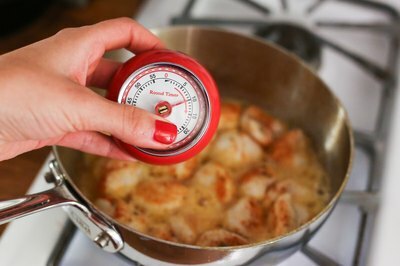 You can easily adjust the size of the dumplings to suit your cooking needs: from small, fluffy dumplings floating in thick roast chicken and gravy, to larger apple dumplings swimming in sugar, cinnamon and butter. Seasonings to taste: salt and pepper, sugar, brown sugar, cinnamon, etc. 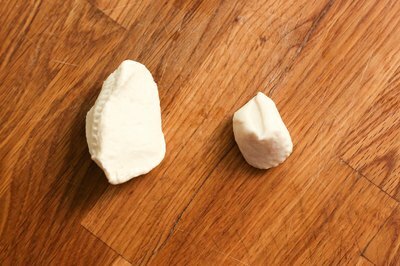 Determine the appropriate size of your dumplings; consider small, bite-sized dumplings for soups and stews, and larger dumplings that can form a crust for desserts. 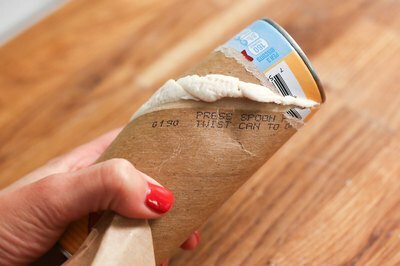 Open the can of biscuit dough according to the instructions on the side. Remove and separate the individual biscuits. 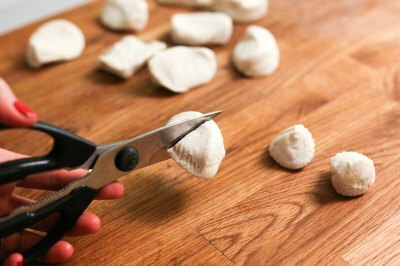 Use the kitchen shears to cut the biscuit dough into the dumpling size you need. The cut portions will stay approximately the same size once cooked. 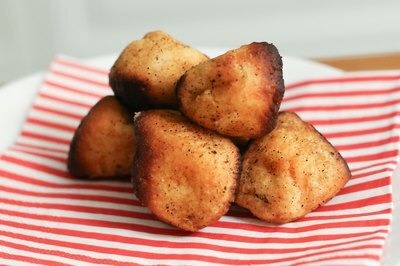 Quartering a single biscuit would be a good size for chicken and dumplings, for example. Season your dumplings. If you intend to roll them in spices or sugars, do so before cooking them. 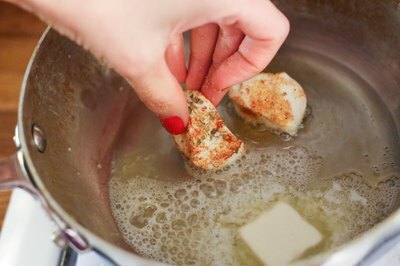 Submerge the dumplings partially or fully in a hot liquid. Boiling soup, stock or gravy, hot melted butter or canned liquids in a slow cooker will all work. If you prefer a dry crust, only partially cover the dumplings. For soft dumplings, push them all down into the cooking liquid. Cook the dumplings uncovered for at least 10 minutes at a medium boil. Cover and cook the remainder of the dish according to your recipe. The dumplings will fluff as they cook. If using a slow cooker, cook the dumplings on "high" for at least 30 minutes. 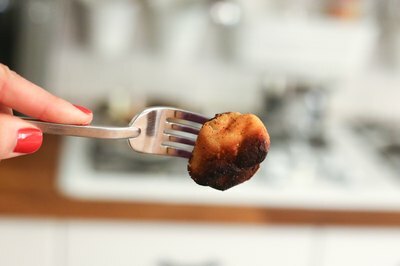 Fully submerged dumplings are done when a small dumpling cut in half is no longer doughy in the middle. Partially covered dumplings are ready when the dumpling crust is golden brown.